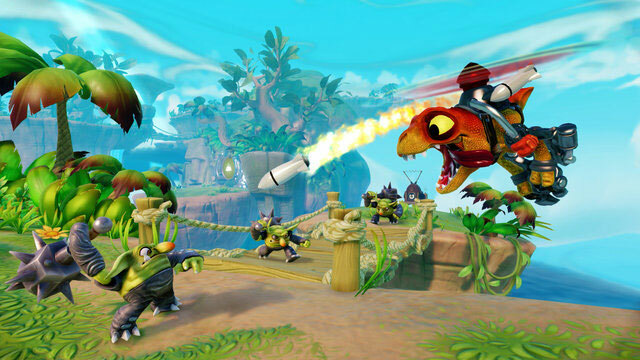 The Skylanders are back in their fourth adventure. This time Kaos has managed to release a whole host of villains from the notorious Cloudcracker Prison. 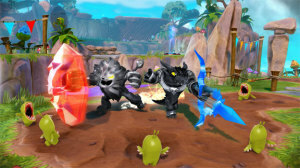 Now, the Skylander Trap Team has to scour Skyland and trap the villains. Not only does that open up a wealth of new characters, but also allows players to dip a toe into the waters on the villain side of the franchise. Skylanders: Trap Team has amazing graphics, fantastic voice acting, and a tremendous score to support an interesting new storyline. And, of course, there is whole line of new toys to go with it. 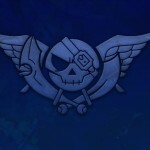 If you are new to Skylanders, welcome. If you’ve been playing Skylanders all along, the new game is great, but there are a few drawbacks. One of the newest figures, Chopper, takes to the skies in an airborne attack. First the great stuff. For the first time you can play the villains. Once trapped in the new crystal traps, which plug into the new portal, villains make funny comments and beg to be let into the game. 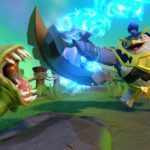 They can’t be upgraded in the same way that Skylanders can be, but they can unlock villain-only areas, and they each have their own quests that allow for a certain level of redemption. One of them can join his family reunion for example. 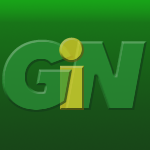 Our GiN kid testers found the trap mechanic to be a ton of fun. They really enjoyed the comments that the trapped villains made, trying to get into the game. And they seemed to love playing the bad guys, all without actually having to be bad outside of a cartoon sense of the word. Also, the redemption angle was well-received, with many of the kids working really hard to try and make the “evil” characters better. We’re going to need a bigger boat. Here is the list of new Trap Team related figures. Can you collect them all? As in previous Skylanders games, individual new Skylanders can still be upgraded. 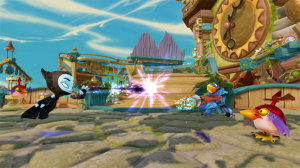 The upgrades travel on the figures’ RF chips, so Skylanders can go visiting to other portals and other games for super fun arena battles. 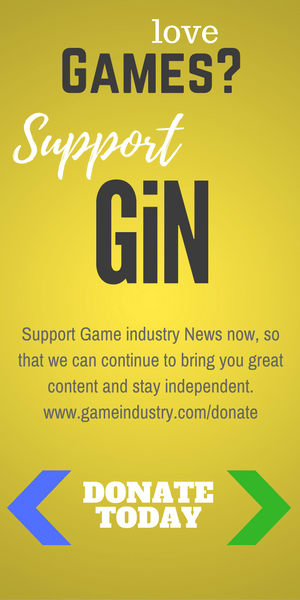 They are also platform independent, so if you or your kids play on the Xbox version, its okay that your friends have the game for the PlayStation or WiiU. If you’re a parent, I know you’re groaning right now with the additional cost of Skylander toys, but there is some good news. First, the figures are remarkably sturdy, so at least you’re buying a quality product. Second, you can unlock a tremendous amount of this game with nothing but the starter set. However, if you want to be able to play all the villains, you need to have one of each type of trap. Check out Skylanders Trap Force At Amazon! Villain Skylanders fall into one of several categories like air, life, tech, etc. More traps are nice because then you don’t have to swap out villains, but they aren’t necessary. If you don’t have the type of trap you need to capture a villain, he or she still goes to your villain vault and you still get the bounty. You just can’t have him plugged into the portal and you can’t do his side quest to try and make them a better person or monster. Thankfully, the traps themselves are some of the least expensive peripherals, costing about $5 or $6. And you only need one of each type to fully unlock all the villains from that group. The starter kit comes with two traps as well, so you will be well on your way with your trap collection. These big guys help to anchor the Trap Team collection. And they are ready to rumble. 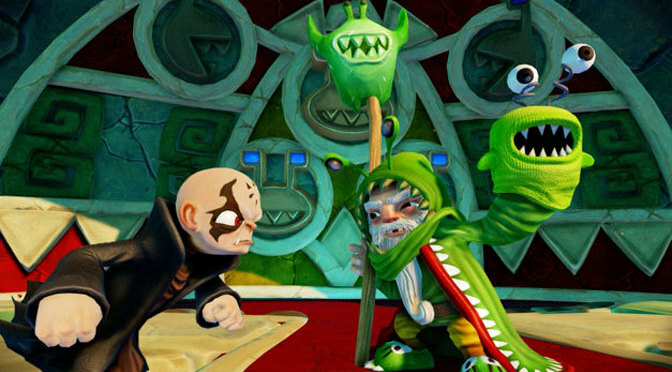 Unfortunately, even though Skylanders from previous versions of the game can play in Trap Team, they can’t open much in the way of side quests. This time most of the quests for magical hats and other treasure are locked behind Trap Team gates, so to unlock all the content of the game you will need one of each type of Trap Team character. That’s unfortunate, because all of those figures do get pricey. However, the RF chips make the figures mobile, so there are lots of opportunities for collaborative play among children. If different children have different figures, they can work together to open all the gates, which can be a nice opportunity for sharing. So what are the drawbacks? 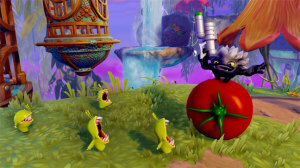 Aside from most of the extra goodies being stuck behind Trap Team gates, if you’ve been playing Skylanders for a while, they haven’t included upgrade options for older characters, so while you can completely upgrade any new characters there are no options for extending the upgrades of old ones. You can still play with your old characters. You just can’t upgrade them further. People have a tendency to get attached to figures though, and they want to continue playing with them and extending their abilities. Perhaps the next round of games, or at least DLCs, should focus on eliminating this “level cap” for the older figures to make them more relevant once again. 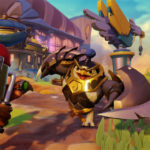 Activision and the host of developers for the Skylanders games have done a fantastic job on storyline and figure development. 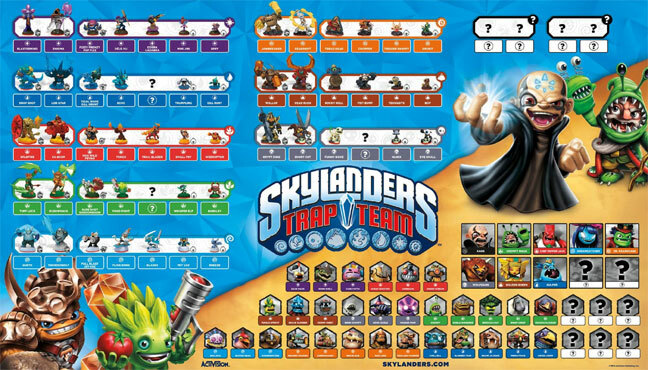 Every new iteration of this series from Giants to Swap Force to the new Skylanders: Trap Team have significantly added playability to the genre without changing the overall plot or feel of the game. They all look and sound great and are really fun to play. This has of course lead to a legion of young fans who have never been let down by the series. In fact, when one of the GiN kid testers was asked what they were most looking forward to before they started playing Trap Force, his answer was very clear: he wanted to see what mischief Kaos was up to in the new story. Here he was presented with a whole new method of playing and a new portal, and what he was most concerned about was the plot. That says a lot about how well this series is crafted. Eat your veggies, or use them to roll over your enemies. Either one works. There is a fantastic amount of content in these games, which makes for great replay value. The only thing that I think Activision hasn’t considered is that now that they have four games, they should develop other options for older players and older figures. 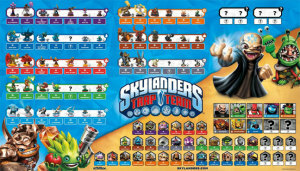 All in all, Skylanders Trap Team is another home run for Activision. I give it 4.5 out of 5 GiN Gems. Check it out and tell us your personal Skylanders experiences in the comments below.